Dispute over German development aid for North Africa - The Maghreb Times ! North African states deemed safe countries of origin often refuse to take back rejected asylum seekers from Europe. Now, many German politicians are considering development aid as leverage to deport unwanted refugees. Both German coalition partners, the center-left Social Democrats (SPD) and Chancellor Angela Merkel’s conservative Christian Democrats (CDU), now want to cut development aid for countries that refuse to take back their citizens. The most dramatic reason is the alleged Berlin Christmas market attacker Anis Amri. The Tunisian citizen was supposed to have been deported long before the attack but red tape kept him in Germany. At first, Tunisia did not even recognize him as a citizen. The search for the required documents dragged on for months until the attack. It all seems systematic. 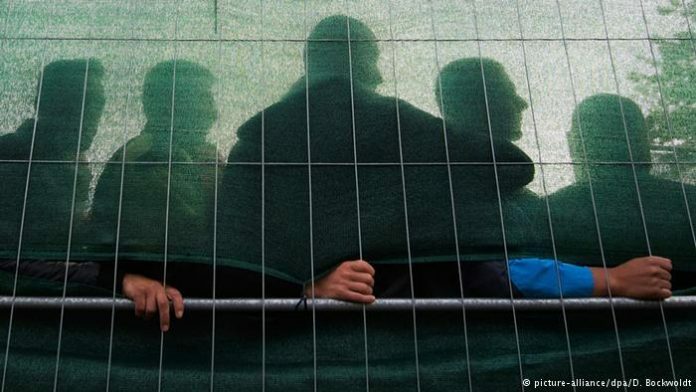 Very few people from the North African states of Morocco, Algeria and Tunisia are granted asylum – and the numbers are declining. Nonetheless, Germany usually has difficulties deporting rejected asylum applicants because their home countries do not want to take them back. Tunisia is one example: In 2015 and 2016, 900 Tunisians applied for asylum – less than 1 percent of them were accepted. In 2015, only 17 Tunisians were deported and in 2016 the number rose to 117. German Interior Thomas de Maiziere visited the three countries nearly a year ago to solve the problem but the response amounted to nothing more than vague promises of better cooperation. The conservative politician is now receiving support from an unusual ally, the Left party’s Dietmar Bartsch. He called the reduction of development aid “nonsense” in remarks published in the “Mitteldeutsche Zeitung” paper. “We must actually do the opposite and help fight the cause of flight and displacement at its source,” he said. Dirk Messner, the director of the German institute for development policy, believes the issue is more nuanced. Messner is not fundamentally opposed to cuts and actually does believe they make sense if the government is affected and not the regular populace. He proposes cuts in export subsidies, for example. How much money is entailed? 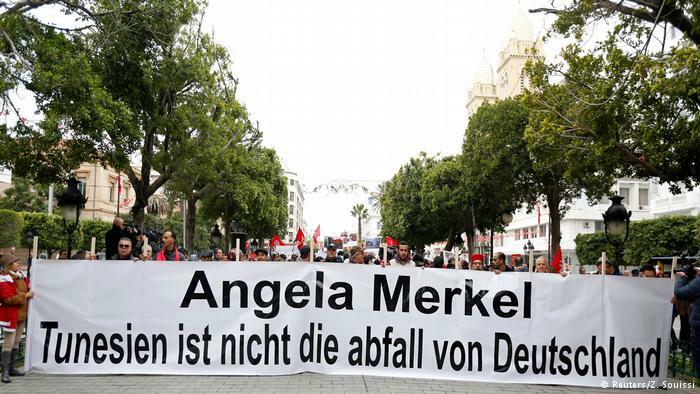 According to Development Minister Müller, Germany spent around 1.1 billion euros ($1.16 billion) on the three Maghreb states; most of the money was provided in the form of loans, so it was not merely handed to them. The funds are used for education and training programs, as well as returnee programs. The “Stabilization and Development in the Middle East and North Africa” project has been running for years now. 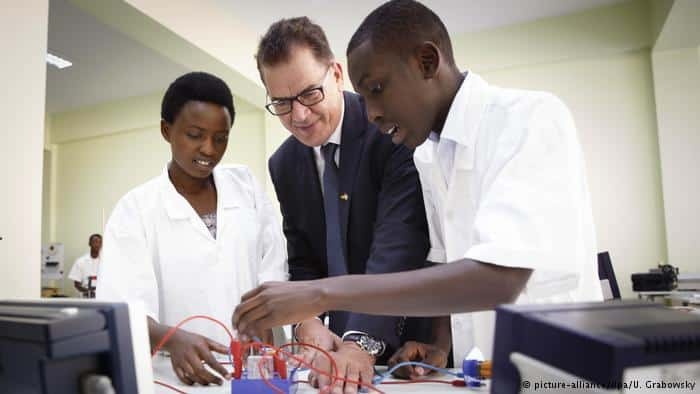 Through development cooperation, the German government aims to improve living conditions in the region and contribute to more social equality. Müller believes it is well-invested money and offers people prospects in their own country. The ideas do not run contrary to deportation; Gerd Müller just does not want to link development policy with asylum in Germany. Müller thus sends the ball back to the court of the ministers who are making these demands. He says that the federal government should “respectfully” negotiate previously non-existing deportation agreements with Morocco, Tunisia and Algeria. He also sympathizes with the fact that Tunisia and Morocco require Germany to clearly identify rejected refugees by using biometric data. Tim Westerholt, a migration expert from the German Catholic charity organization Caritas, has pointed out another aspect that the German government should take into consideration: Young North Africans are doing all they can to stay in Europe because returning is apparently not an option for many. They want to quickly earn money as some of them have been sent to Europe by their families. A return would mean failure. In the meantime, Gerd Müller has been pushing for more help for the African states. Before the CSU’s winter conference last week, he had already announced plans for an aid program in Africa, which is to become an “economic cooperation on a completely new scale.” At first, it would be initiated with the Maghreb states and Egypt. “Our destiny is bound to Africa’s destiny. The population will double.” He said the solution is not to receive millions of young people in Europe. That is why employment prospects must be created in their home countries and African countries must be motivated to foster their own initiative. He feels that countries developing in this direction deserve to receive more funding and the ones who refuse to reform, less. Müller plans to unveil his program on January 18 in Berlin.